Monday, July 13 at 7:00pm. Meet at 7:00, leave at 7:30. 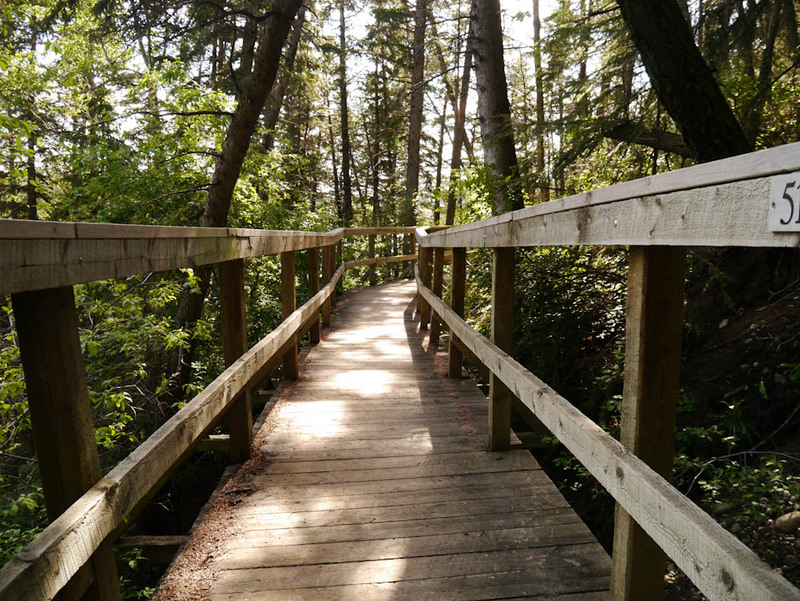 Join us for a short ride and a pleasant stroll along Calgary's very own Douglas Fir Trail. We will ride along the river pathway to the start of the trail, lock up, hike the length and then walk back along the pathway to our bicycles. The hike is not difficult and we will stop at viewpoints to enjoy Calgary's beauty and sip on libations. We will meet at the bridge connecting eau claire plaza to Prince's Island Park. The bridge is on the south side of Prince's Island Park directly north of the YMCA. Meet at 7, leave at 7:30. It should take approximately 2 hours to bike n' hike.